Volunteering enables you to work for a cause that you care passionately about. Research shows that this improves your emotional, physical, and mental health. Volunteering with a local organization is a good way to meet and befriend new people, both locals and other expats. Volunteering with a local organization will allow you to communicate with locals, a great way to practice your Dutch! Volunteering with a local organization that is solving a social problem or filling a social need will help you learn more about the social, economic, and political issues facing the local community. Your assistance will help an organization advance its cause for people in need, and the city at large. By connecting with a local organization and meeting new people, volunteering can help you integrate into the local community. Volunteering is a good way to learn new skills or practice using existing skills, especially if you are looking to gain more practical experience, particularly while looking for employment. 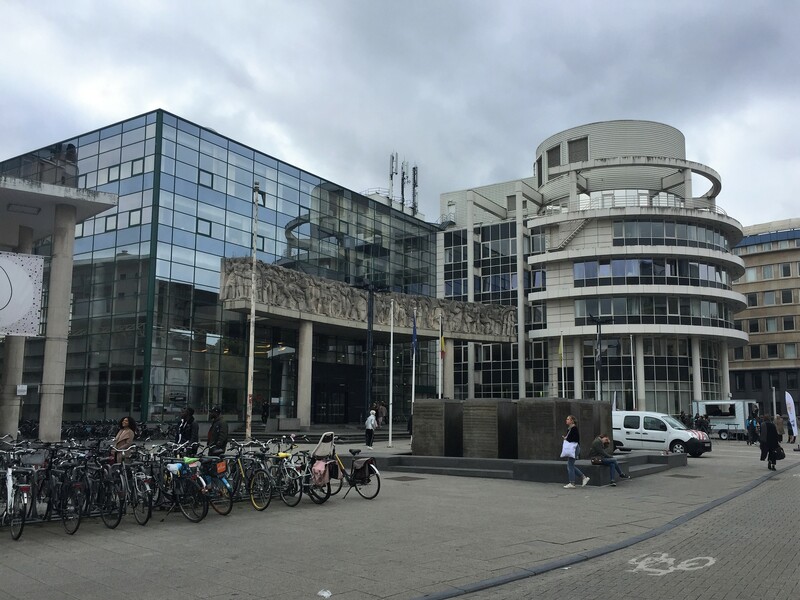 The Vrijwilligerspunt Gent is located in the Administratief Centrum Zuid. Volunteers (vrijwilligers) most commonly give their time working with a legally recognized Vereniging Zonder Winstoogmerk (VZW), literally, an association without a profit objective, also known as a nonprofit organization or charity. You could also volunteer your time with a business or company that operates for profit, especially if your goal is to use your volunteer work as a step to gain employment. However, the laws protecting your interests as a volunteer in this situation may be different than if you were volunteering with a VZW. (Keep reading for a discussion on legal issues regarding volunteering further below). The city of Gent has an office, Vrijwilligerspunt Gent, dedicated to helping volunteers. Their website is www.vrijwilligerspunt.stad.gent. The office is in the Administratief Centrum Zuid at W. Wilsonplein 1. It is open on Mondays and Fridays from 9:00 to 12:30, or by appointment. If you visit in person, sign in first at the GentinfoPunt on the ground floor. They will assign you a waiting number and direct you to the correct office. The Vrijwilligerspunt Gent staff will talk with you to get an understanding of what type of volunteer organization you would like to work with and what type of work you would like to do. They can recommend specific organizations to you based on your interests, will help you search their database of vacancies, and will even help you connect with and visit the organization if you’d like. The staff has a broad knowledge of the organizations in Gent because they also work with the organizations to post their listings. The ability to speak Dutch would be beneficial for volunteering with organizations in Gent, but it is not necessarily required for some organizations. The staff of the Vrijwilligerspunt Gent can help you find an organization with which you can speak English, or possibly even your native language. Once you have identified an organization to work with, the office can also help you review your volunteer work contract. Such a contract is important for both your legal protection and that of the organization. Contracts cover items such as insurance, working hours, and potential for compensation. If you are more of a do-it-yourself kind of person, you can search and apply for volunteer vacancies on their website without visiting the office or utilizing their personalized services. Many of Gent’s signature large-scale events, like the Gent Jazz Festival and the Gent Film Festival, look for volunteers. Often, you can get free entrance to the event or other benefits in return for your volunteer work. Volunteer jobs at these events are usually tasks like registration assistance, drink or merchandise sales, stage observation, and cleaning. While this type of volunteer work can include long and late hours, it can be a great way to get involved with the community. There is a public Facebook group called Expats Give Back: Ghent. This group was created to help expats find volunteer work in Gent. It lets members share requests and recommendations with each other. The group also allows local nonprofit organizations to post volunteer opportunities, especially if they do not require fluency in Dutch. 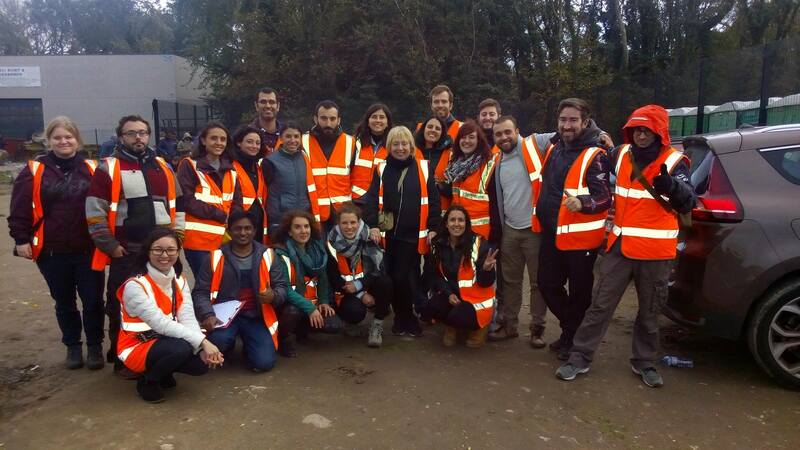 Gent4Humanity volunteers provide support for refugees in Belgium, France, and Greece. Photo © Gent4Humanity. De Krook Library has volunteer opportunities. Find out more in our article, De Krook Bibliotheek: A Library For All Of Us. Dierenasiel Gent (Gent’s animal shelter) has a lot of work for volunteers. Many expat volunteers especially enjoy walking the shelter dogs in Citadel Park. You can find out more about this in our article, Adopting and Volunteering With Pets In Gent – All About Dierenasiel Gent. The Danshuis De Ingang, a dance school, seeks volunteers from among their student base to help with their daily operations. Other similar organizations you use may do the same. If there is something in Gent that interests you, ask them! You can also volunteer with us at TheSquare.Gent as a contributing author. Email hello@thesquare.gent with your ideas and a sample of your work and we’ll go from there! There is another resource for volunteers in Flanders, including Gent and beyond. The Flemish support point for volunteer work is Het Vlaams Steunpunt Vrijwilligerswerk. This organization, a VZW itself, is a partner in coordination with the Flemish government. They support other organizations and government offices in their use of volunteers. They also provide resources and advocacy for volunteers in Flanders. Perhaps the most useful resource Het Vlaams Steunpunt Vrijwilligerswerk provides for volunteers is the website: https://vrijwilligerswerk.be/. There, you can search for volunteer vacancies in Flanders and find the latest news related to volunteering in Flanders. This search page lets you look specifically for volunteer jobs for people who don’t speak Dutch or who want to practice speaking Dutch. This other website offers similar search services: https://www.giveaday.be. When, where, and how often you work in a volunteer job is up to you. You can make these arrangements in a contract with the organization you choose to work with. There are laws in place to protect both volunteers and organizations that use volunteer workers. The Belgian Social Security office, de FOD Sociale Zekerheid, has a federal advisory board, the High Council for Volunteers (Hoge Raad voor Vrijwilligers). The council unites volunteers with the government through research, consultations, and legal advocacy. The Sociale Zekerheid maintains a legal definition of a volunteer and provides recommendations for what volunteers should know about an organization before volunteering. They also instruct that if you are unemployed and receiving benefits, you must notify the unemployment office (het werkloosheidsbureau van de Rijksdienst voor arbeidsvoorziening) before starting any volunteer work. They will notify you within two weeks if your unpaid work will impact your unemployment benefits. You can find all this information in Dutch on their website at this link. 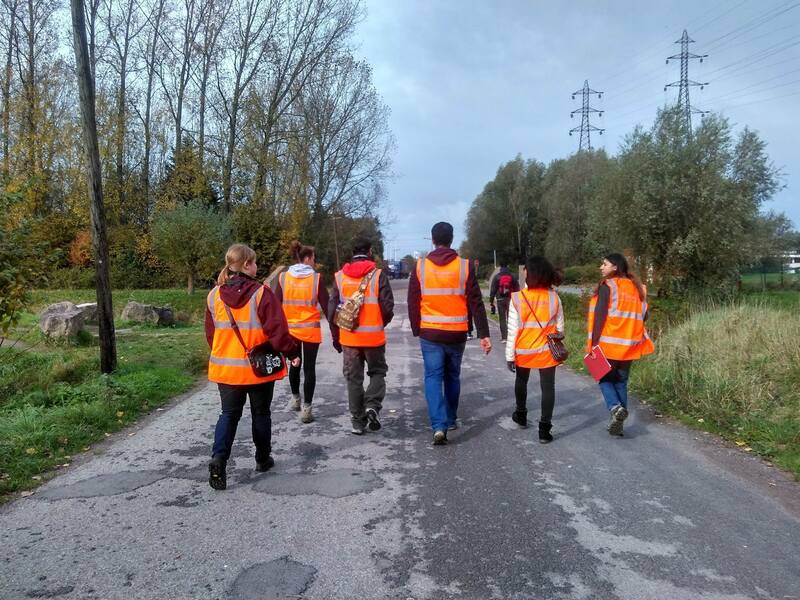 Volunteer work is likely to be unpaid, but organizations can reimburse volunteers for related expenses (transportation costs, for example, up to 2,000 km per year) or pay volunteers up to certain limits as set by Belgian law. If the work meets the legal definition of volunteer work, no social security payments will be made on the allowance. If the limits are exceeded, however, all the income will be taxed, unless other exemption qualifications can be proven. Visit the Federale Overheidsdienst Financiën website here for more details about this. The Vrijwilligerspunt Gent (discussed above) can assist you with questions related to these and other legal issues. Gent4Humanity volunteers. Photo © Gent4Humanity. Volunteering is a great way for an expat to get involved in Gent. We hope this article helps you in your search to find the right volunteer work for you. 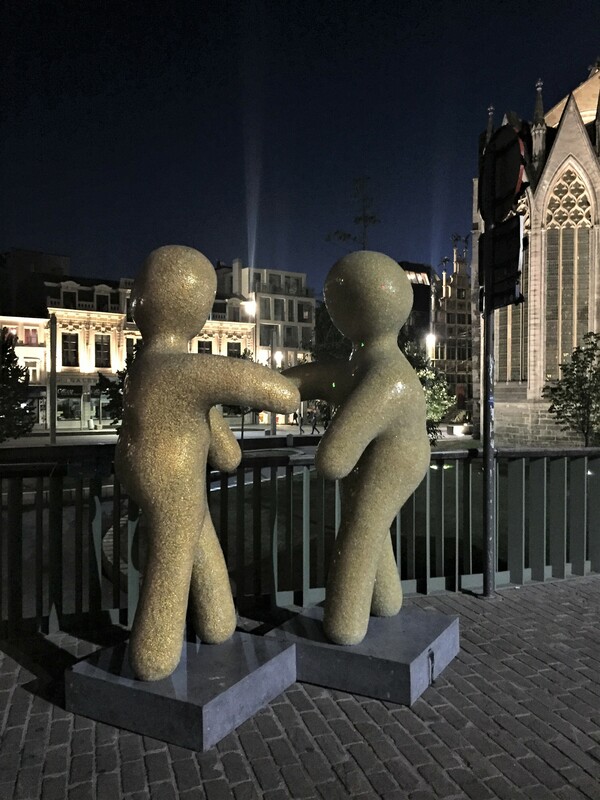 If you know of other ways to find volunteer work in Gent, or have an organization to recommend to those looking for volunteer work, please comment to let us know! *Note: the legal topics discussed here are complex, so our article does not pretend to be able to answer all your questions. We hope to give you an overview of the topics and different options for finding more information. The information on this page is based on the information found on official government and local websites, and on the experience of the authors. While we have done our best to make sure it is accurate, rules and regulations change, and each individual situation might be different, so it is always a good idea to check with appropriate authorities for the latest information. Consequently, TheSquare.Gent and its authors do not assume any responsibility or liability for any issues or damages stemming from the use of the information found on this website.